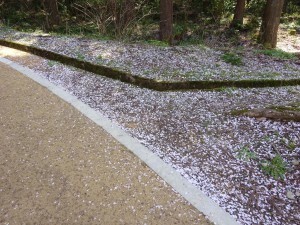 It’ s middle of April, and Cherry blossoms start falling. 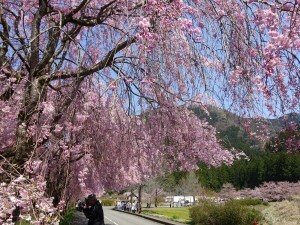 But I can recommend nice place to see cherry blossom at this time!! 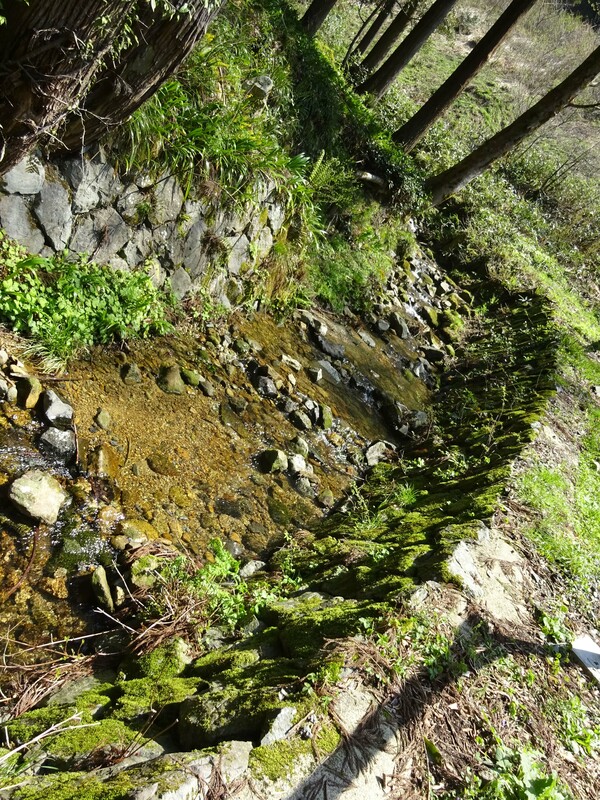 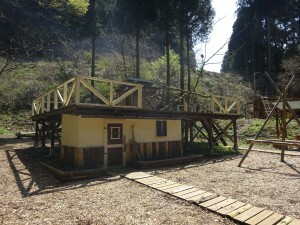 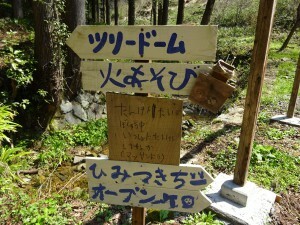 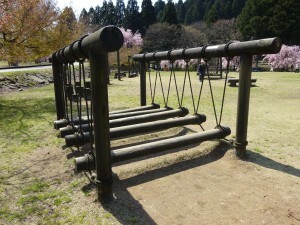 The place is “Takekurabe park” in Takeda area. The Weeping cherry tree festival has been held from 9th until 23rd April, and we can enjoy the light up during the festival. 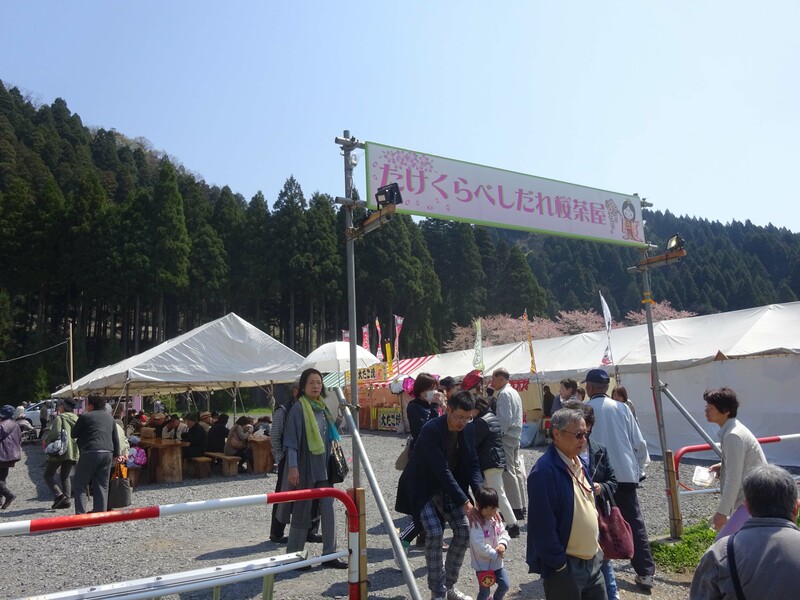 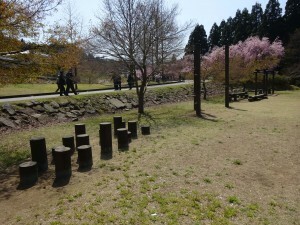 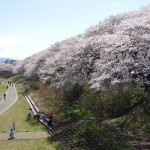 I visited there on weekday, but it was crowded by many people who want to see beautiful cherry blossom. 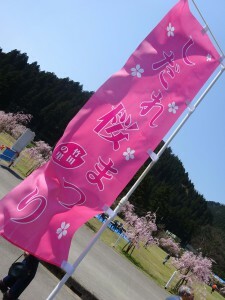 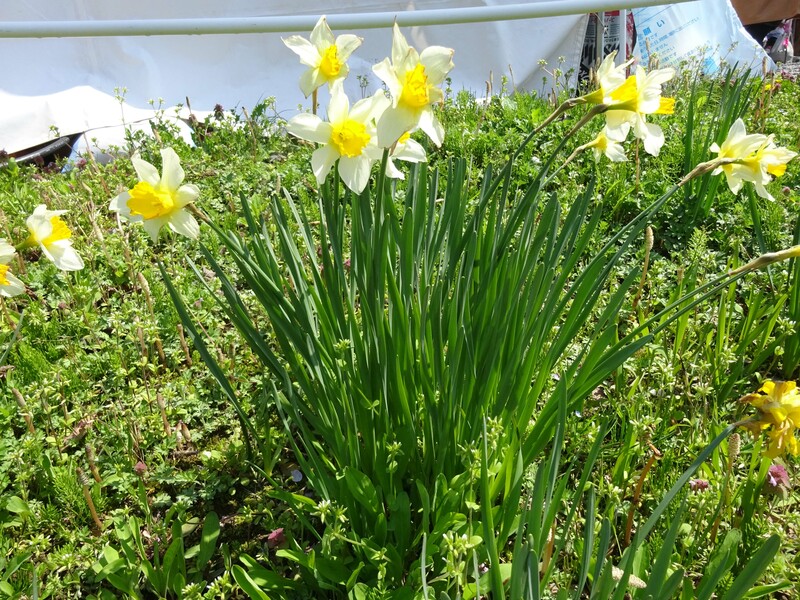 Takeda area is located the east end of Sakai city, Fukui. 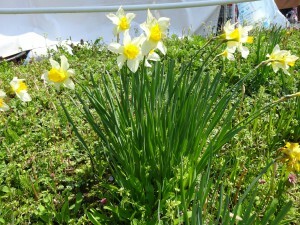 It’ near to Ishikawa prefecture. 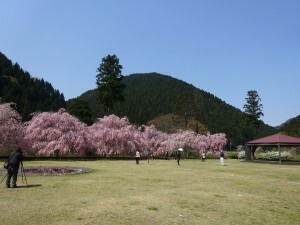 This park is surrounded by mountains, and it turned pink with many cherry blossoms. 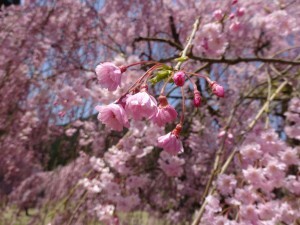 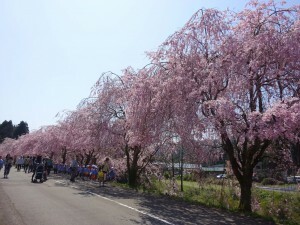 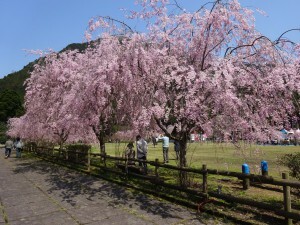 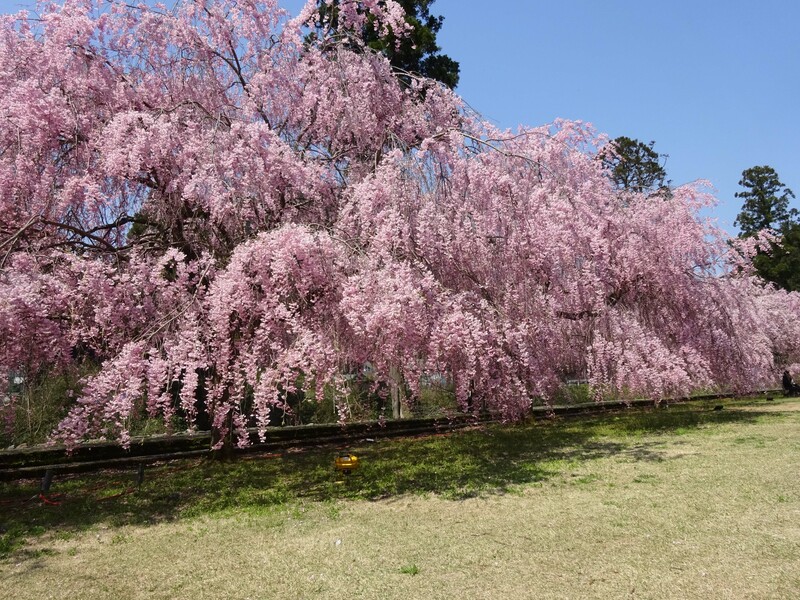 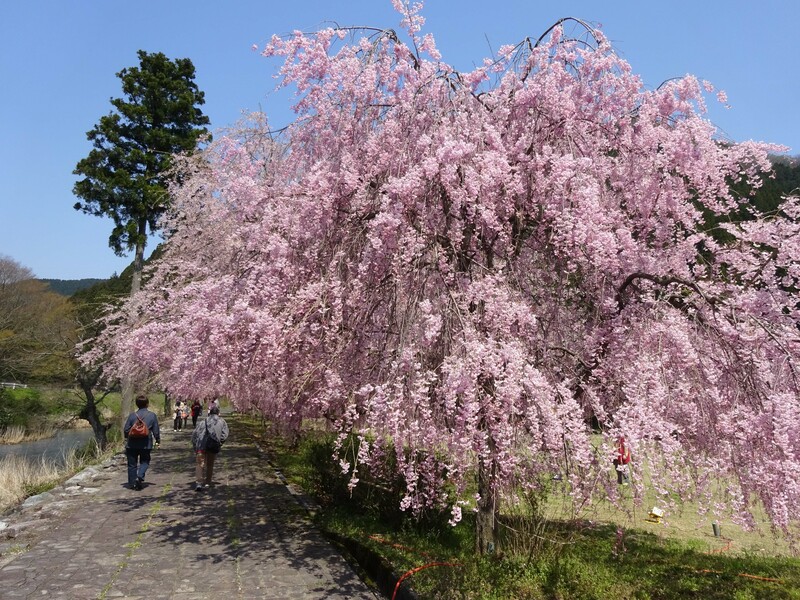 There are 600 weeping cherry blossoms tree in Takeda area, and about 120 trees in here Takekurabe park. 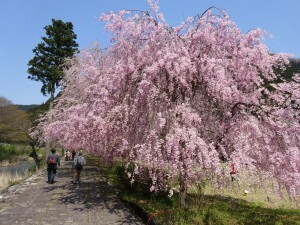 Flower covers whole tree and i can’t see the trunk of a tree. 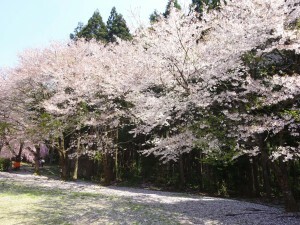 Cherry blossom almost touch the ground. 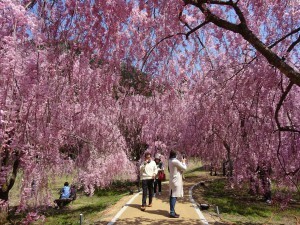 This is the most famous spot, pink tunnel. 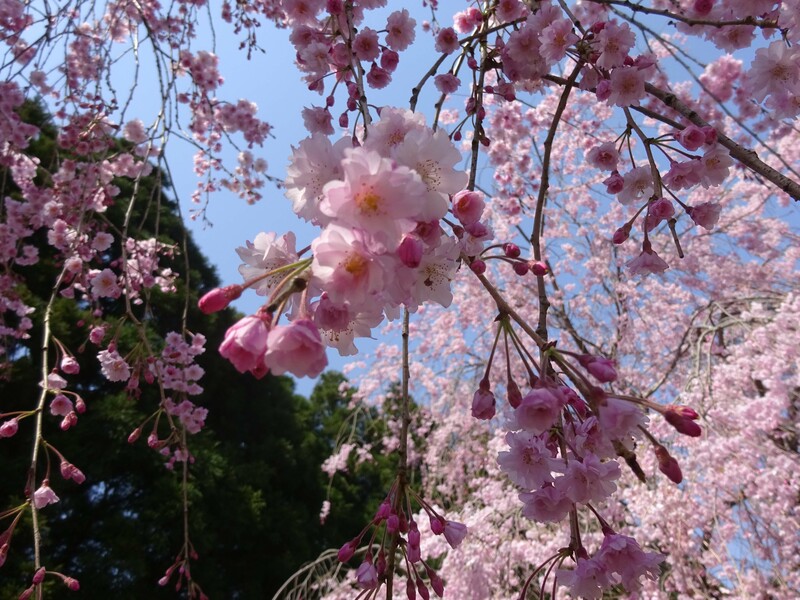 Because the flower bud is deeper pink than bloomed flower. 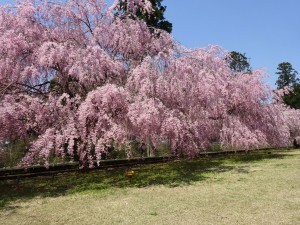 If it’s on full bloom, it seems lighter pink. 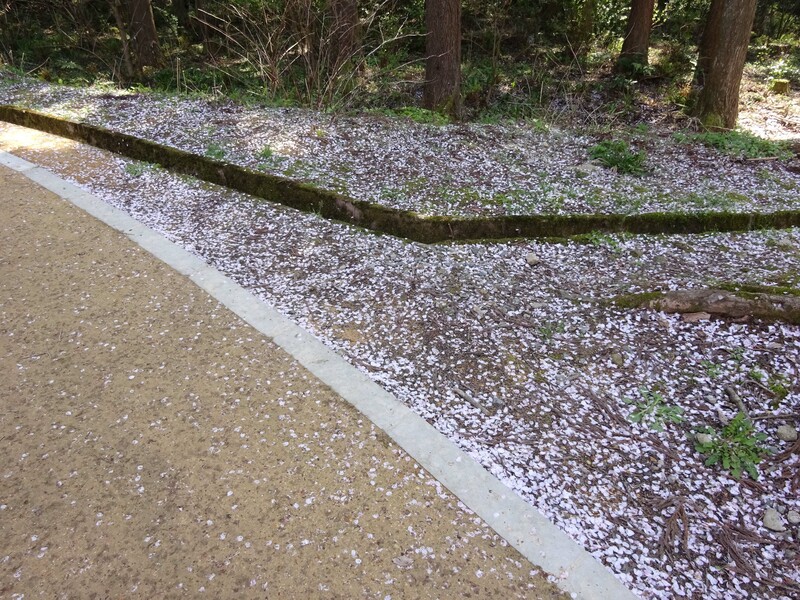 Other kind of cherry blossom start falling. 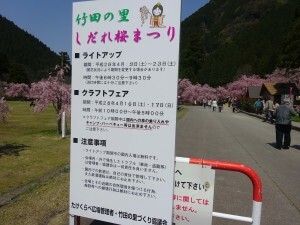 It’s going to be the pink carpet. 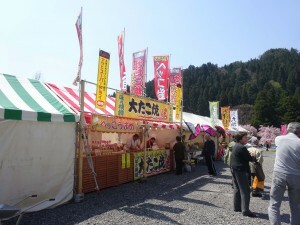 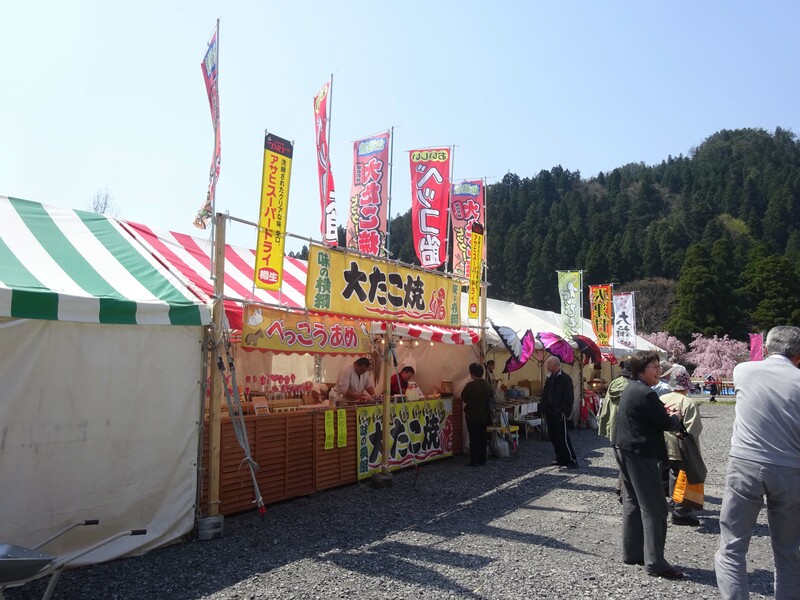 You can buy some foods like Dengaku, Sakura Mochi (Cherry blossom flavor rice cake) and Bento (Box lunch). 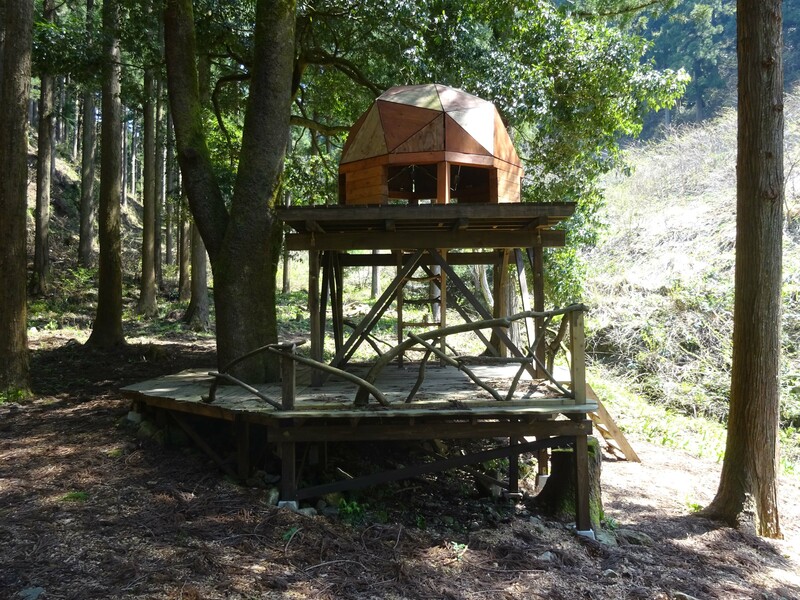 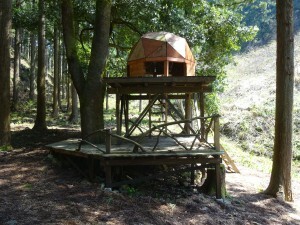 Takekurabe park is well known as the multiple leisure space that you can enjoy camping, barbecue and play in the river. 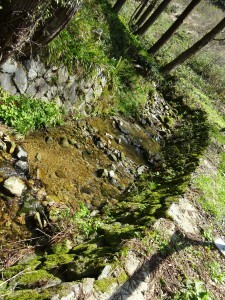 The water is clear, and the river is shallow. 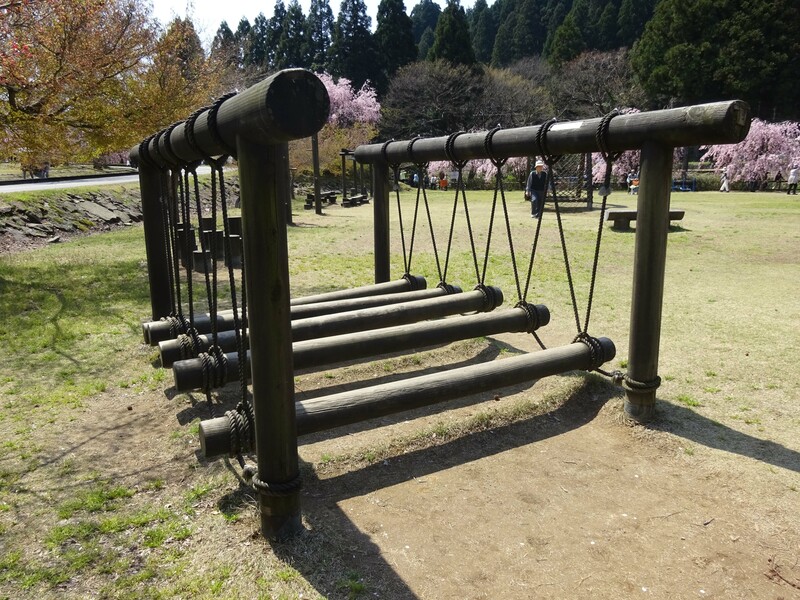 It’s nice to play here.